← It’s Expensive So Let’s Buy More! Senior year of high school can be quite overwhelming: college applications, final tours, winter formal, senior pictures, prom, graduation… It’s endless! Once your child graduates, there is a short lull before the next major milestone – the day they move to college. In the midst of the shopping and dorm room decoration, it’s highly likely you forgot something crucial – your child’s estate plan. Wait, what? Yes. Your 18-year old needs a starter estate plan! You may not be aware that once your child becomes a legal adult (at age 18), you are excluded from making important medical decisions for him or her. You no longer have the right to obtain basic information about their health or to make decisions about their medical care. As the parent of two college students, I was alarmed when I first learned this. The 1996 Health Insurance Portability and Accountability Act (HIPAA) safeguards your child’s medical and dental records and protects their privacy. This is a good thing! The problem is it also prevents you from accessing their medical records. There is a simple, free fix for this. Your child’s primary care physician and dentist can provide him or her with a HIPAA Release form. This form allows your child to designate who they allow to obtain their medical records in the event of an emergency. As your child ages, they can change or remove this designation. The Living Will and Medical Power Of Attorney documents, when used together, are called an Advanced Heath Care Directive. A Living Will is your child’s statement of decision. It tells doctors whether or not they want life-supporting measures stopped if there is no hope of recovery. At the very least, this is a conversation you should have with your child. The Medical POA allows your child to appoint you, or another family member or adult, to make healthcare decisions on their behalf should they be unable to. It is the most crucial document you need for your child. When we think of a Medical POA we often think of physical incapacity – a car accident, a sports injury, a fraternity party gone wrong. However, it more common for college-aged students and their families to deal with mental incapacity. Mental illness is a topic no one wants to broach, but it is a very serious problem. The National Alliance on Mental Health found that one in every five young adults under the age of 24 live with a mental health condition. Even a mild mental illness can incapacitate your child from making good healthcare decisions. It is important for you to be able to make these decisions for them while they are in school. I cannot stress how important this document is, especially if you are divorced or separated from your child’s other parent. If the two of you cannot agree on healthcare measures, your child’s healthcare will be significantly delayed while you duke it out in court. Ultimately, the State will be responsible for making this decision for you. Avoid this at all costs! For those who want to remain actively involved in your child’s financial life while they are in college, there is a fourth document worth mentioning. Instead of having a joint bank account (control your adult child may no longer want), consider a Durable Power of Attorney. A Durable POA is a simple way to allow you to manage your child’s finances in the event of an emergency. It does not give you blanket permissions. Instead, it itemizes specific powers given to you by your child in the event he or she becomes physically or mentally incapacitated. It allows you to legally handle their financial affairs (pay bills, file taxes, make bank transactions, etc.) while they are temporarily incapacitated so their credit standing does not suffer. Ideally, a trusted estate attorney should draft these documents for you. This person will guide you throughout the years as you and your family’s needs change. A starter estate plan will cost significantly less than a full estate plan and the peace of mind is well worth the price. However, if you have budget constraints, there are reputable online document services. Firms like LegalZoom.com also offer access to third party phone attorneys who you can speak with. Keep in mind that these companies are online document services only; they are not actual estate attorneys. In most cases, their documents – once notarized – should suffice and hold up in court. 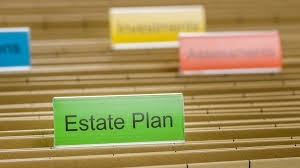 Just be sure to have the documents reviewed or re-drafted every two to three years by an estate attorney. This entry was posted in Financial Planning and tagged Advanced Health Directive, College, College Planning, Durable POA, Estate Planning, HIPAA, Living Will, Medical POA, POA, Starter Estate Plan. Bookmark the permalink.